In Buddhism, wisdom is not something we acquire or develop — it is who we really are, the true nature of mind. 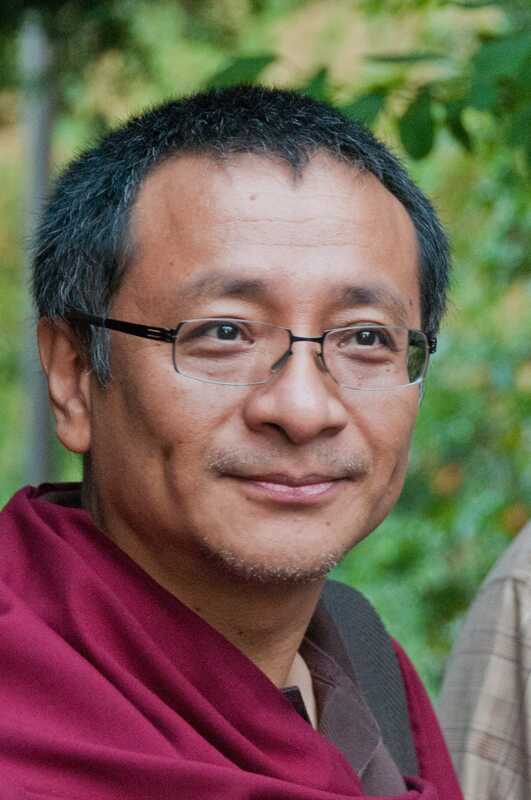 Through Mahamudra meditation, says Dzogchen Ponlop Rinpoche, we relax into the emptiness, clarity, and awareness of ever-present buddha wisdom. Dzogchen Ponlop Rinpoche. Photo by Ryszard K. Frąckiewicz. Buddhism is rich in methods for working with the mind. One of the most renowned and powerful is the ancient wisdom tradition known as Mahamudra. Originating in India, the view and practice of Mahamudra gradually spread across Asia and today has reached the West. As a philosophy, it aims to communicate clear knowledge of the true nature of the mind. As a meditation practice, it is designed to bring about that experience swiftly and unmistakably. Mahamudra is a contemplative Buddhist tradition known for its simplicity. The practice is to be genuine, relaxed, and aware in every situation in life, to accept and appreciate who we are. To engage in its profound methods, we aren’t required to change our lifestyle, and any message contrary to that is not a true Mahamudra teaching. The practice of Mahamudra is an experience of our mind that’s completely free and joyful, no matter what our life brings us. It points us to mind’s true nature. The meaning of Mahamudra is found in its name. Maha means “great” and mudra means “symbol” or “seal.” The Great Symbol referred to is the wisdom of emptiness, which is the very nature of our mind and of all phenomena—any object or idea the mind can observe or become aware of. Because it covers the totality of our experience, the Great Symbol is known as the all-encompassing reality from which there is no escape or exception. Realizing the true nature of our mind doesn’t happen just by accident, pure luck, or willpower alone. We need some help. So, how do we begin the practice of Mahamudra? First, we learn with an open and interested mind what Mahamudra is. Then we reflect on and personalize that knowledge so that it becomes our own experience, rather than a theory. Then, having digested the meaning, we simply sit, going beyond knowing about Mahamudra to becoming one with it. Realizing the true nature of our mind doesn’t happen just by accident, pure luck, or willpower alone. We need some help. We have to rely on key instructions of the Mahamudra lineage imparted to us through a trusted and realized teacher. Mahamudra has a tradition of skillful methods for directly pointing out the nature of mind, which is a unique feature of this lineage. If we have the opportunity to receive these instructions and a sincere interest in working with them, we have a good chance of understanding and realizing Mahamudra wisdom. Mahamudra is divided into three parts: ground Mahamudra, path Mahamudra, and fruition Mahamudra. Ground Mahamudra is where our discussion starts. It is fundamentally a view of the most basic reality of our mind and world. We will then look briefly at path Mahamudra, which is the actual meditation practice. Last, we have fruition Mahamudra, a description of what the path leads us to. That will give us a complete picture of the Mahamudra journey of awakening. Mahamudra teaches us with a number of special techniques for looking at our mind to see its true nature. When we look inside with a clear, steady focus, the mind we see is transparent, spacious, and open. It feels like something’s there, but when we look for it, there’s no “thing” we can find. Our thoughts and emotions are vivid, yet we can’t put our hands on them. They melt away as soon as we notice them. Even sights and sounds, which seem to be real, distinct entities, evade our grasp when we search for their true identity. When we recognize the flowing, open, and spacious quality of all our experiences, even for a moment, that’s the emptiness side of the wisdom of emptiness. When we look at our mind, however, we see that it’s not just spacious. There’s a luminous, clear, and creative energy that’s the source of our compassion and joy. There is also a quality of wakefulness, of all-encompassing awareness. This is the wisdom side of the wisdom of emptiness. When we recognize the union of this brilliance, this awareness, and the open, transparent space, that’s what we call the recognition of the wisdom of emptiness, or the true nature of mind. In such a moment, we don’t experience just one side of our mind; we experience the wholeness of the mind. We see the union of space, compassion, and awareness, which is called Mahamudra. When we look at our mind, we see that it’s not just spacious. There’s a luminous, clear, and creative energy that’s the source of our compassion and joy. There is also a quality of wakefulness, of all-encompassing awareness. Actually, it’s this very moment, now, when we fail to recognize the true nature of mind. This is the very beginning. If we can relax in this moment, we are resting in the ground or fundamental state of Mahamudra. The way we rest is through the practice of meditation, which is path Mahamudra. When we can rest well, we are naturally in union with the goal, or fruition, of the path. There’s no other Mahamudra to attain: we are buddha, awake and free, in this very moment. But when we fail to recognize the basic nature of our mind, then we have a problem. The luminous, creative energy of original mind is misperceived as the dualistic world of self and other. Confusion arises, clinging begins, and then the whole world of suffering and bewilderment manifests. Instead of enjoying peace, illumination, and happiness, we experience our mind as afflicted with painful emotions. We’re bombarded by thoughts that lead us this way and that. We endure anxiety and fear while we long for peace and contentment. That is what we call the spinning of samsara, or cyclic existence, which is endless until we decide to stop it by realizing mind’s true state. So the beginning of samsara is when we fail to recognize that ground, and the end of samsara is nothing more complicated than recognizing our own nature of mind. When mind recognizes itself and can rest freely and relaxed in a state of openness, that is the end of our confusion and suffering. Luminosity, the clarity nature of mind, manifests creatively as phenomena. Because we are habituated to solidifying our experience of this luminous display, it’s easier for most of us to see the luminous aspect of mind than to recognize mind’s empty nature. However, if we’re missing the experience of emptiness, we might start to think of luminosity as something that’s solid and real enough to hold onto. Then it becomes a source of suffering and confusion instead of freedom. It’s important to first learn what emptiness actually means, at least intellectually, before we jump to the conclusion that the nature of mind possesses all the qualities of enlightenment. Once we have a good understanding of the emptiness nature of mind, then we can further that view by seeing mind’s luminous nature. So before undertaking Mahamudra meditation, we should first have a theoretical understanding of the true nature of mind—as empty, luminous, and aware. Second, we should understand how confusion develops when we don’t recognize that nature. Third, we should understand that the essence of our confused thoughts and emotions is free of any innate negativity or fixation, that all expressions and experiences of mind are empty and luminous. These three aspects of ground Mahamudra are important to understand through conceptual mind first, and then through the process of reflection to make it more experiential. Finally, we bring our understanding to complete realization through meditation. In the beginning, Mahamudra meditation is a process of becoming familiar with our mind just as it is, and then learning how to relax within it. Our first glimpse is likely to show us that our mind often wanders aimlessly about, and there’s little organization to our thinking. It’s like a house with junk piled up everywhere. So, what do we need to do first? We need to bring a sense of order and clarity to our mind. By being more mindful of our thought process, our awareness naturally becomes sharper, more precise, and more discriminating. Once we’ve created some mental space, we can begin to glimpse mind’s nature and the play of its creative energy. Gradually, we can further let go of the thoughts, labels, and judgments that keep our mind moving, unsettled, and tense. We can begin to relax, expand, and inhabit a new dimension of presence and openness. There are two main types of meditation in the Mahamudra tradition: Mahamudra shamatha, or resting in the nature of mind, and Mahamudra vipashyana, or clear seeing. The focus of our attention is the mind itself, as opposed to anything external. 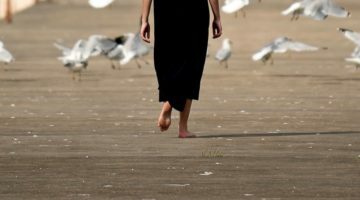 If you have a background of sitting meditation and are familiar with that practice, then learning to rest in the nature of mind can be very simple, easy, and straightforward. What does it mean to rest in the nature of mind, and how do we do it? We may think that to meditate, we have to concentrate, we have to focus on something. The actual meditation of Mahamudra is not really about that. It’s more about knowing how to rest our mind and let it relax in its own state. That can be tricky, because on one hand we need to be mindful and stay present, and on the other, we need to let go of any stress and just relax. So the best practice is the middle way, finding a balance between nondistraction and relaxation. We may be worried that we have too many thoughts and are not relaxed enough, or that our focus is not in the right place. But relaxation will come naturally if we keep doing it. That’s the key thing—to keep doing it. In the beginning, that may feel artificial, but if we keep doing it, it becomes effortless. It’s like when we start learning how to drive a car. It’s very stressful when we first get behind the wheel. Our eyes are glued to the road. We’re holding onto the steering wheel so tightly we can feel the tension in our shoulders. At first it’s an intense, scary experience, but the more we learn about driving, the more we relax. In the same way, Mahamudra meditation can feel unnatural and stressful at first. We may be worried that we have too many thoughts and are not relaxed enough, or that our focus is not in the right place. But relaxation will come naturally if we keep doing it. That’s the key thing—to keep doing it. Then the experience of space, awareness, and relaxation will come naturally. First, take your seat on a cushion or chair in an upright and relaxed position. Take a moment to feel the cushion, the posture of your body, the attitude of the mind, and the movement of the breath. Sit quietly for several minutes, gently letting go of your thoughts until you feel a sense of calmness. Next, bring awareness to the eyes and look directly into the space in front. Then simply relax at ease and rest in the present moment, in nowness. On one hand, there’s a sense of focusing on the space, but on the other, there’s no particular spot to focus on. The gaze is like space itself, wide and spacious. Whatever comes up in the present, whether it’s a thought, emotion, or perception, try to meet it without judgment or comment. Rest the mind in that very experience, whether you regard it as good or bad, pleasant or unpleasant. There’s no need to change or improve it or look for a better place to rest. Rest the mind where it is and just as it is. In Mahamudra meditation, it isn’t sufficient just to recognize the presence of thoughts and emotions; we need to recognize their true nature and rest within that experience. So from time to time in meditation, reflect on the three basic characteristics of mind: emptiness, clarity, and awareness. The emptiness of the mind is something we can “see,” so to speak. When we look at the mind, it’s like infinite space. It has no limit. It has no material form, color, or shape. There is nothing we can touch. That space, that openness, is the empty nature of our mind. When contemplating mind’s emptiness, experience the spacious, insubstantial, nonmaterial quality of mind, of thoughts and emotions, and leave the mind in a state of ease and total openness. This mind is not just empty, however. It also has a vivid clarity, an infinite and vast luminosity, which is the radiance of emptiness itself. It’s like a wide, clear sky filled with light. This experience of space with light is the experience of great compassion and lovingkindness, or unbiased great love beyond concept. It manifests in the vibrant energy of our thoughts, emotions, and perceptions. We can see it in every experience of mind, especially in the powerful display of our emotions. Once again, sit quietly until you feel a sense of calmness. Then contemplate the clarity aspect of mind. Look directly at whatever forms, thoughts, or emotions arise: all are the natural expression of this luminous nature. Look beyond the object and experience the radiance of emptiness, resting relaxed within that basic presence of clarity. The clarity aspect of mind has the power of knowing, seeing, and experiencing the world. When a room is full of light, we can see all the objects surrounding us. In the same way, the light of our mind makes appearances clear and distinct. When we think about an object, our mind naturally produces an image for it. 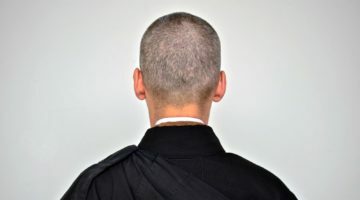 Whether we’re thinking about Bart Simpson or His Holiness the Karmapa, the image we see is an expression of mind’s clear, playful, creative energy. Mind is not only empty and clear; it has the quality of panoramic and discriminating awareness. While clarity is the compassion aspect of mind, awareness is the wakeful aspect. It is the sharp, penetrating intelligence (prajna) that sees through any confusion and perfectly understands the world it sees. With clarity and awareness coming together, we experience the full power and benefit of compassion and wisdom in our lives. When we are able to rest in this nature without too much stress from trying too hard to focus or concentrate, we can begin to experience genuine relaxation. As before, now rest the mind for a few moments. Let go of any thoughts of hope or fear, and calm the mind. Rest the gaze in the open space in front. Bring our mind into the present moment and relax, simply experiencing the quality of awareness. Then let go of even that and relax without any thought. Again, we bring ourselves back into the present moment of awareness. Relax at ease and experience the mind as empty and luminous. With awareness, we experience the three aspects of mind in union and the wholeness of mind’s nature. When we hear instructions to meditate on the mind or to rest in mind’s true nature, it is this union of emptiness, clarity, and awareness. When we are able to rest in this nature without too much stress from trying too hard to focus or concentrate, we can begin to experience genuine relaxation. Relaxing in this space is one of the most powerful meditations leading to a direct experience of buddha mind. With this experience, we can bring a new level of understanding and skill into our everyday life. The wisdom and compassion we manifest will transform the once disturbing energies of our thoughts and emotions into something very useful and powerful that can bring about the experience of enlightenment. 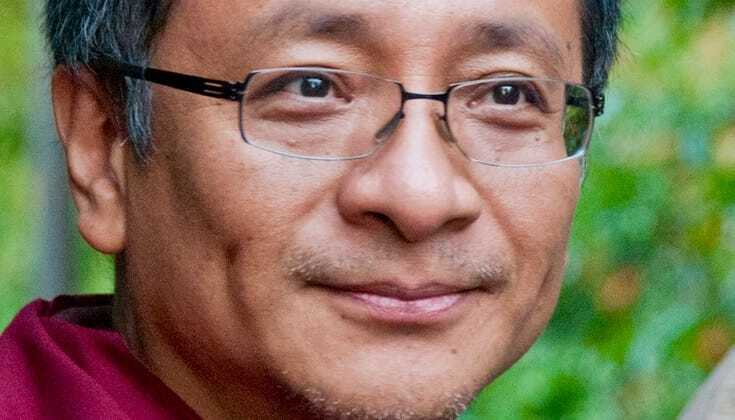 The Dzogchen Ponlop Rinpoche is founder and president of Nalandabodhi and Nitartha International, executive director of Nitartha Institute, and publisher of "Bodhi magazine." He is the author of "Wild Awakening: The Heart of Mahamudra and Dzogchen." A scholar, poet, and meditation master, he is also a member of the official Rolling Stones Fan Club.